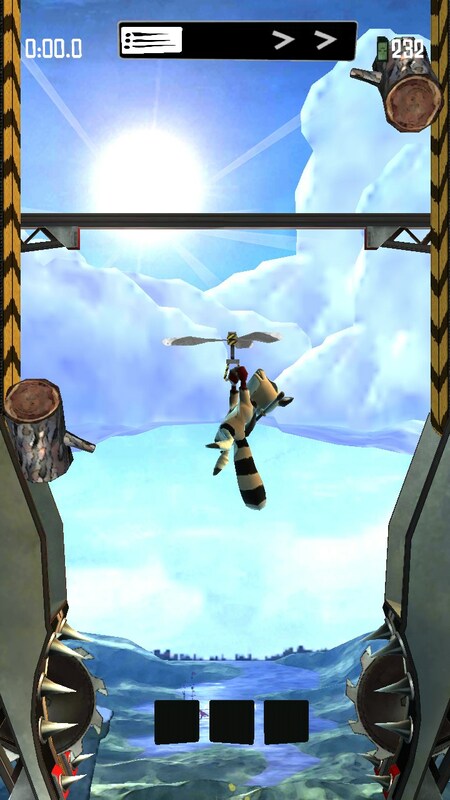 Raccoon Rising – Games for Android 2018 – Free download. 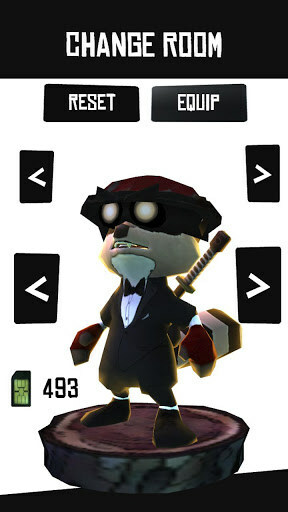 Raccoon Rising – Very high quality action-arcade. 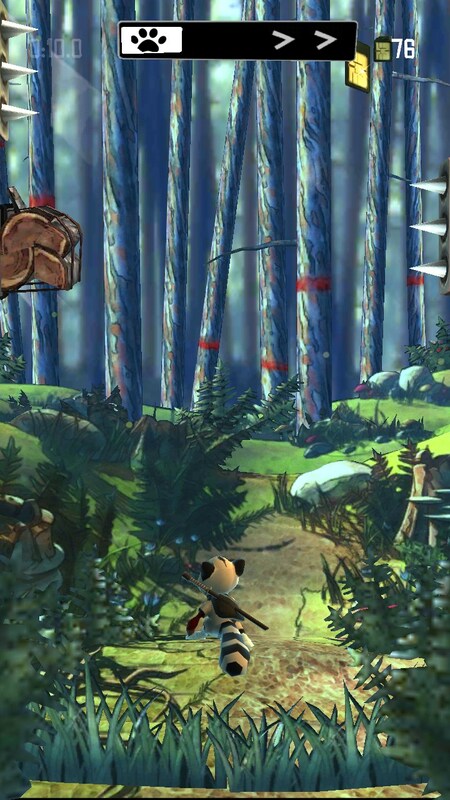 Raccoon Rising - this is a very interesting and exciting action-arcade game for Android, in which we have to help the Ninja raccoon revenge for the destruction of the forest and his friends angry robots. The game has a rather interesting story, which is narrated in the form of comics and unusual gameplay, which is hard to compare with anything, because it is not like other games. The first thing you notice when you start the game, it's improved 3D-graphics in comic style. 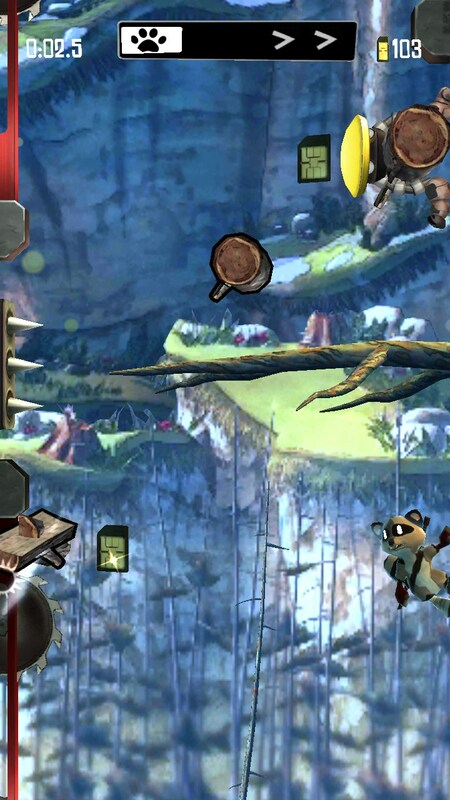 In visual terms the game looks very cool and stylish, this on the Android we've ever seen. 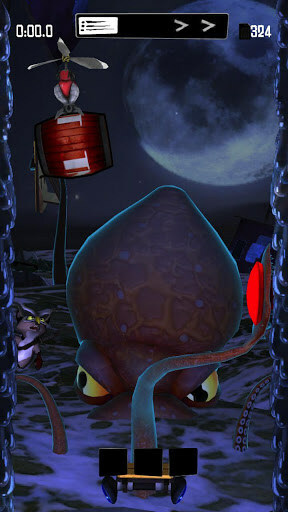 In this game we will jump between the two walls, and perform various tasks. 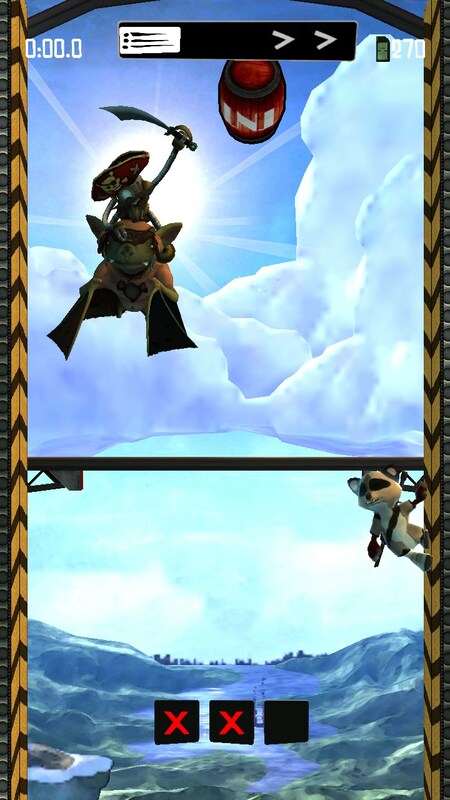 In flight, we can attack with his sword various objects, for example, cut a piece of wood into smaller parts. Control of the game by using one finger. 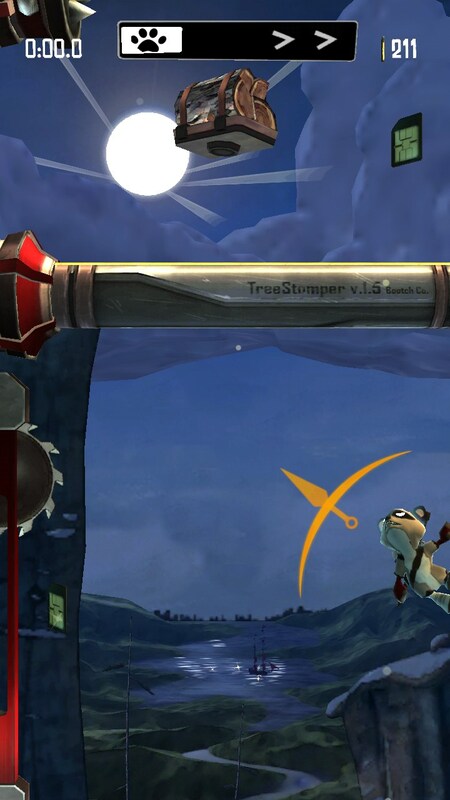 In order to make the jump, we have to hold down your finger on the screen and select the direction of the jump. 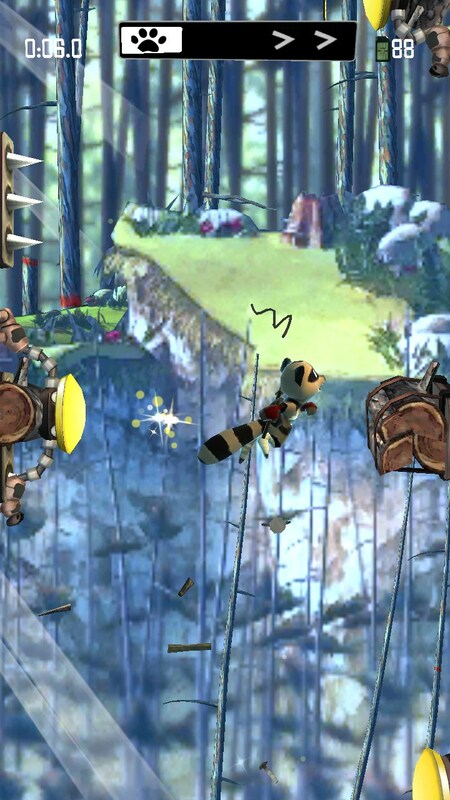 During the jump we have an opportunity to make an extra gesture to raccoon accelerated and hit the air. If we want to cut or attack, we should not simply hold your finger on the screen and choose your destination, and bring on the subject. As soon as we put things on the subject, while in the game will slow down, so we have time to do the trick. 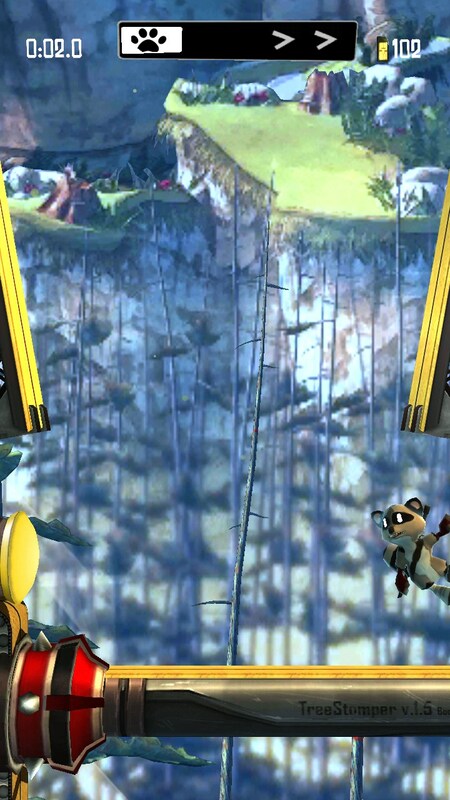 Combat jump looks fascinating, as you can observe in detail how cuts raccoon thing. 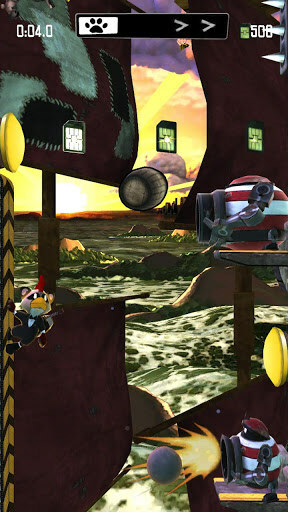 Each level in the game is divided into many small sections, each of which passes just a few jumps. If we die, we will start our ascent to the last section, so that die in the game is not so scary. Many spectacular scenes and boss battles. 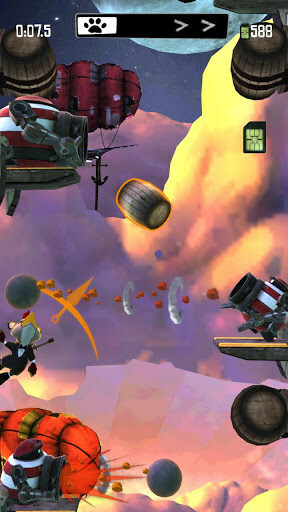 The game can be downloaded for free, but initially only available the first world (25% of the game). The full game is released directly inside the application for just $ 1, which is justified, given the high quality. 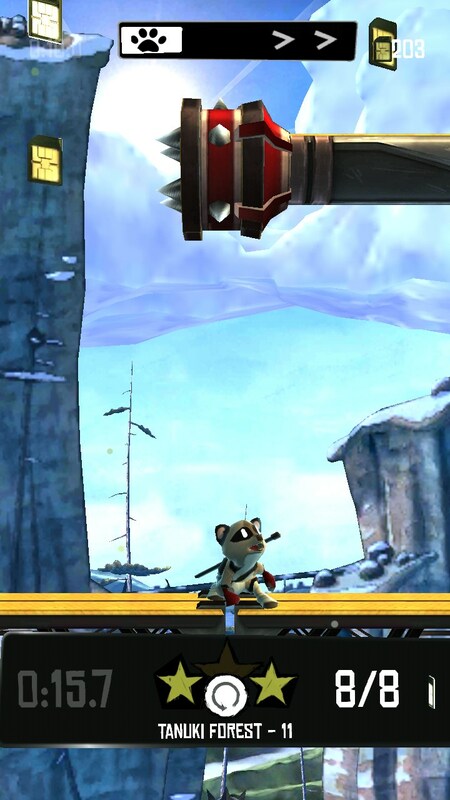 Raccoon Rising - is unique in its kind action-arcade game for Android, which can be called a complete game and put on a par with such hits as Cordy 2 and Rayman Jungle Run.